If you own or oversee an e-commerce store, you may have heard some scuttlebutt in recent months about how Apple Pay is poised to revolutionize the way consumers purchase products. And while it may be true that mobile payments are the future of shopping in brick-and-mortar stores, can the same be said for online vendors? The answer’s not as cut-and-dried as you might think. Here’s a closer look at how Apple Pay could influence the way you sell your goods over the Internet, and whether or not it makes sense for your business. What is Apple Pay and Why Use It? Announced in September 2014 and launched the following month, Apple Pay is a mobile payment system designed to streamline financial transactions for owners of the latest Apple devices. Apple Pay utilizes NFC technology to enable secure, contactless transactions both in physical stores and certain mobile apps. It works by allowing consumers to save their credit card information in their iPhone, iPad, or Apple Watch, and at the point of sale, they confirm a payment via Apple's Touch ID fingerprint scanner. This added level of biometric security has won Apple praise for enabling increased privacy and security for both the purchaser and the retailer. Since Apple Pay transactions don’t require the presence of an actual credit card, the account numbers of users can’t be stolen by criminals. Get your e-commerce shop off the ground when you use a free website maker to create an awesome online store. Where is Apple Pay Available? Although it’s relatively easy for brick-and-mortar businesses to learn how to get to Apple Pay to work for them, the service is not so simple for e-tailers –nor does it always make sense. For starters, Apple Pay online payment does not currently work with digital goods such as downloadable software, music, or e-books, unless they’re sold through the iTunes Appstore. So unless your business’s offerings are exclusively of the physical type or included in the Appstore, Apple Pay isn’t be an option for you. Also, depending upon the physical location and income level of your typical customer, accepting Apple Pay in your business might not be a worthwhile endeavor. If your average purchaser doesn’t live in the United States, or likely doesn’t have enough disposable income to afford a high-end electronic device, Apple Pay is probably not a good fit for your business. Additionally – and this is a biggie – Apple Pay does not support standard e-commerce purchases made from desktop computers or from Web-based mobile stores. 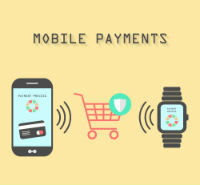 However, if your business offers a branded app as a means to purchase your products, then Apple Pay can be a viable option for you, so long as you use one of Apple’s approved payment-processing partners to handle your transactions. That list of approved partners includes a few big names like Stripe, Braintree, and Authorize.net, but one company is noticeably absent. Apple Pay does not work with PayPal, and industry analysts believe that it’s highly unlikely that these two companies will strike up a partnership anytime soon. So What’s a Small Business E-tailer to Do? While Apple Pay can certainly be a game-changer in traditional retail environments, using Apple as an online store payment method is likely not going to make a substantial difference for small businesses – at least for the foreseeable future. Share your wares with the world by using a free website maker to launch your online store today.